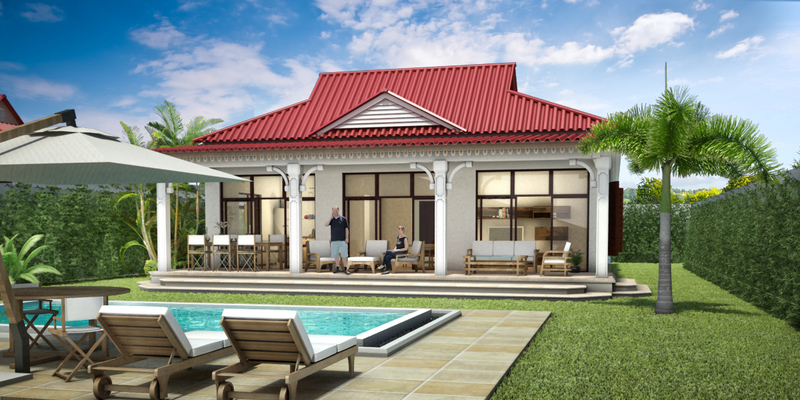 The Aventurine program includes 24 villas one-storey combining tradition with their colonial architecture and modernity with their impeccable service. 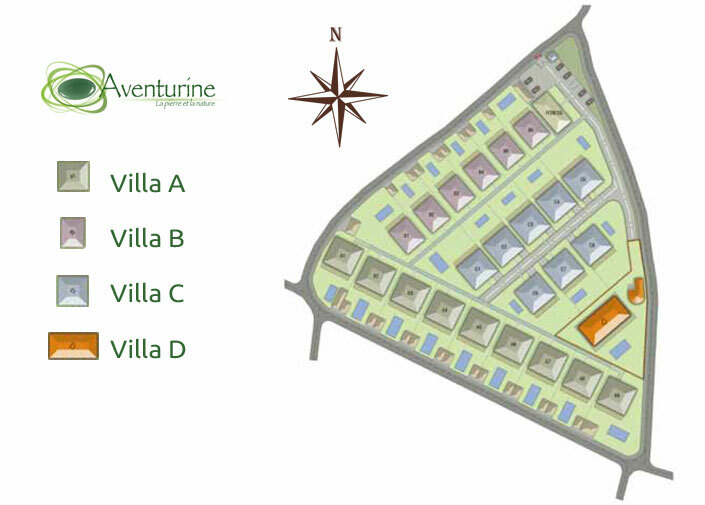 There are 4 types of villas whose surface area ranges from 180 m2 to 315 m2. Each villa has a living room of over 60 m2 extended by a wide veranda overlooking the garden and pool. 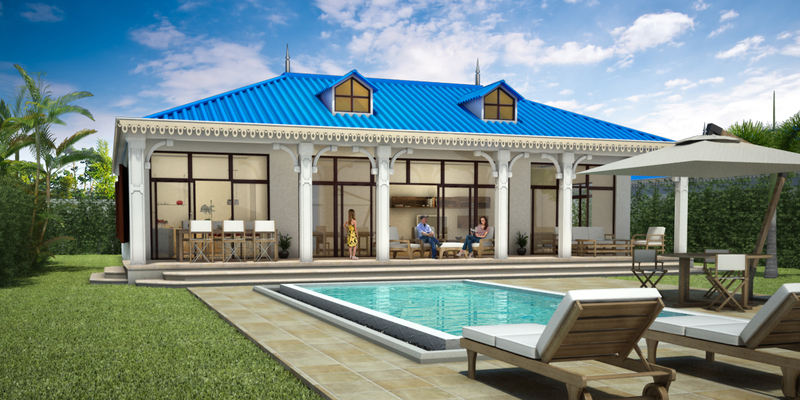 It is possible to select the architecture of the house among seven models, all in colonial style. 1.3 Km from the beach of Anse la Raie and its Kite Surf spot. 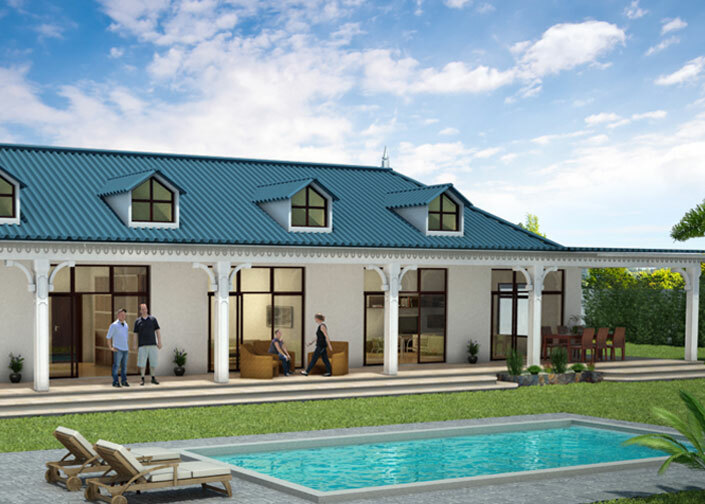 The privileged location, colonial architecture on one floor and high customization flexibility (choice of model, choice of colors facade and roof) make Aventurine one of the most attractive of Mauritius programs. Like a green oasis, Aventurine is an harmoniously enclosed domain combining stone and nature. Green spaces cleverly arranged for complete privacy are surrounded by a wall, made of basalt stones, providing residents a perfect security and discretion. 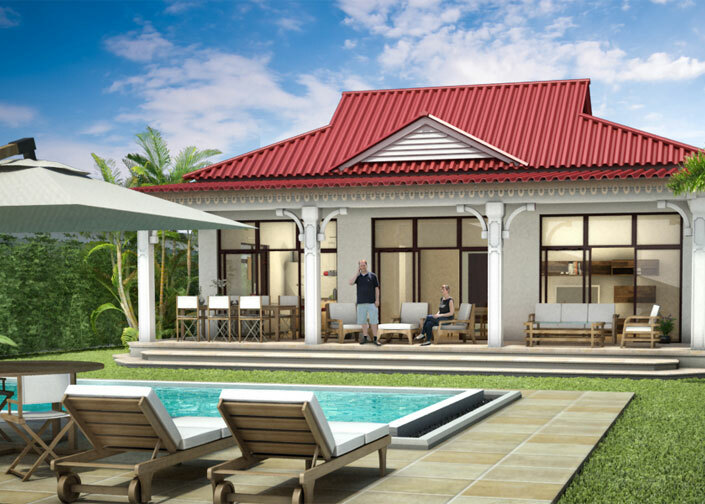 The Aventurine villas are distinguished by their Mauritian architectural lines accentuating their perfect integration into the natural surroundings. 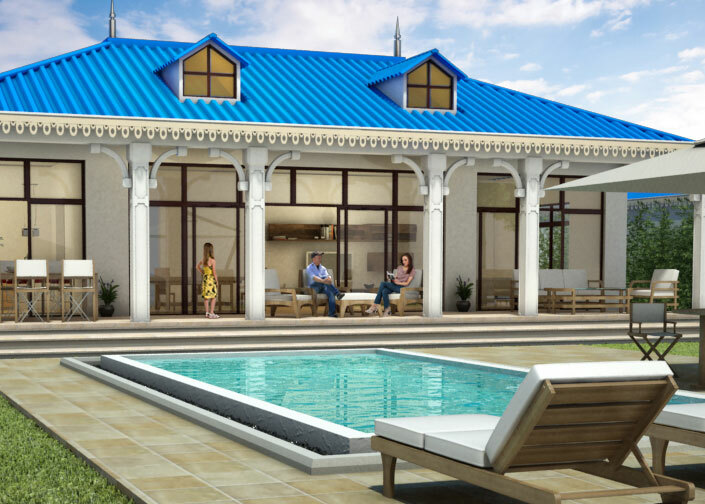 The elegant verandas offer generous relaxation areas open onto the pool to better reconstruct the whole tradition of the art of living on island. 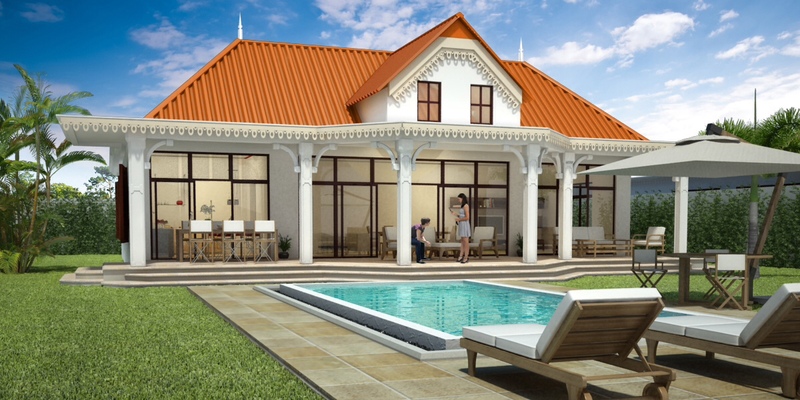 It is possible to select the architecture of each villa among seven models, all in colonial style, and customization flexibility is such that a choice is also available for colors facade and roof. 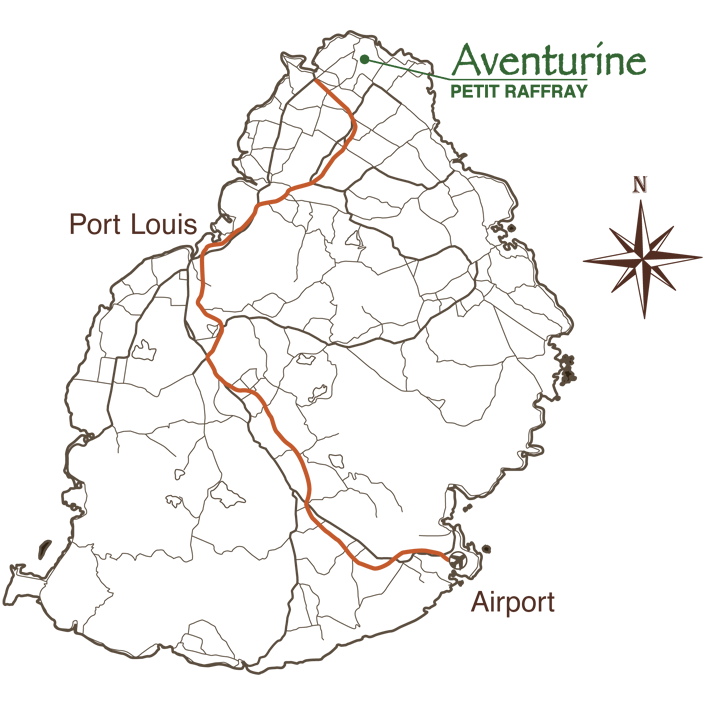 in which it's great to invest. 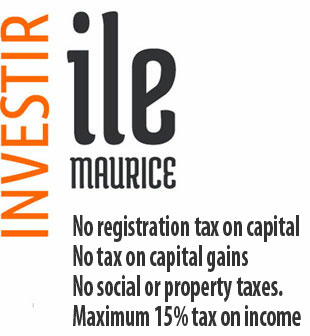 The Mauritian government has developed its economic power through a policy that strongly encourages investment. 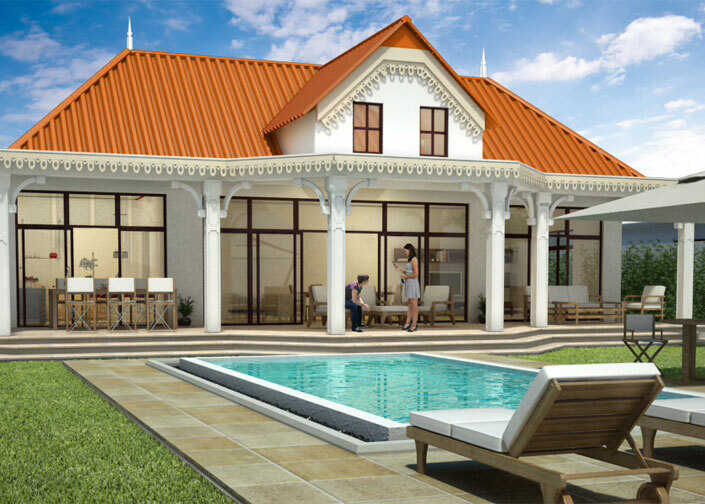 A variety of sound and transparent measures were put in place to facilitate foreign investment especially in the real estate sector which now accounts for a unique opportunity thanks to its numerous tax benefits.